The rustic character of solid pine is treated to a hand-rubbed finish that offers a casual, weathered texture to the surface. The natural color of the wood is highlighted with gray undertones that give Stone Street its unique personality. From a design perspective, neoclassical styling and architectural details are as timeless as the solid wood construction. A final touch is a choice of hardware that can take Stone Street in a more modern direction with the bar pull, or more rustic by incorporating the round knob option. Fortunately, each piece that uses hardware comes standard with both options. 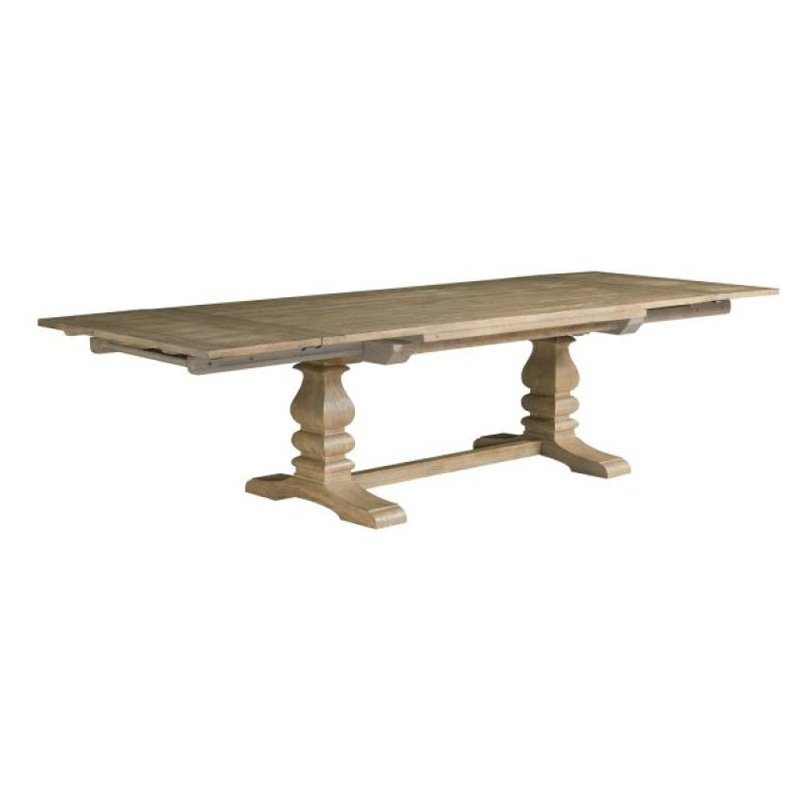 Assembled without leaves: 80" x 44" x 30"
Assembled with one leaf: 98" x 44" x 30"
Click here to receive email quote for Adler Trestle Table Complete with 2 18 inch Leaf item.